AGGAT materials test rig now installed on site! 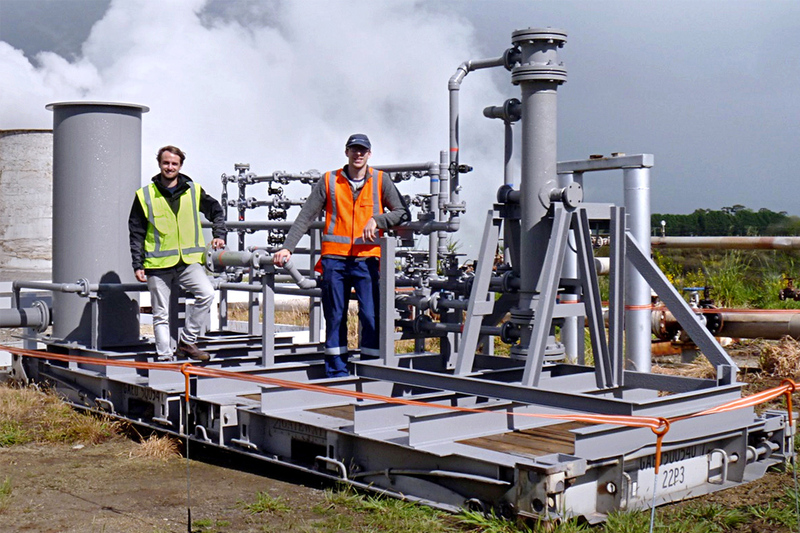 Our Industry Development AGGAT program team is pleased to announce the on-site installation of our Materials Test Rig at the Ohaaki Thermal Kilns grounds. H. J. Asmuss & Co. This installation was a major deliverable for our programme and is a step in the right direction as we look to help understand material properties and issues facing the geothermal industry – particularly as we move to inform our member partners currently developing Organic Rankine Cycle technology to better optimise their designs for market applications. Geothermal brine can be chemically very aggressive and is commonly contaminated with impurities, resulting in scale built up on the inside of plant components and in corrosion issues with materials it comes in contact with. The composition of geothermal brine is very site specific and commonly varies over time – our equipment is designed to replicate the operational conditions of heat exchangers used in geothermal Organic Rankine Cycle plants, allowing us to study the influence of site specific operational conditions and solutions to overcome them. A highly mobile and self-contained rig, it is equipped with three rig sub-sets – a shell and tube heat exchanger with replaceable tube design, a complex of three double pipe heat exchangers for comparative analysis between control and stimuli and a coupon test rig to allow coupon-based sample testing. Excitingly, the rig is also earmarked to test a novel technology on eliminating silica scaling which is being carried out in collaboration with Victoria University as part of their government funded project. By establishing the effectiveness of different base materials, coatings and surface treatment methods to reduce or eliminate corrosion and scaling issues, we’ll be able to inform material selection – delivering the geothermal industry with solutions that result in longer plant life, less maintenance and ultimately reduced cost for power generation. Are you in the geothermal sector and keen to be involved? 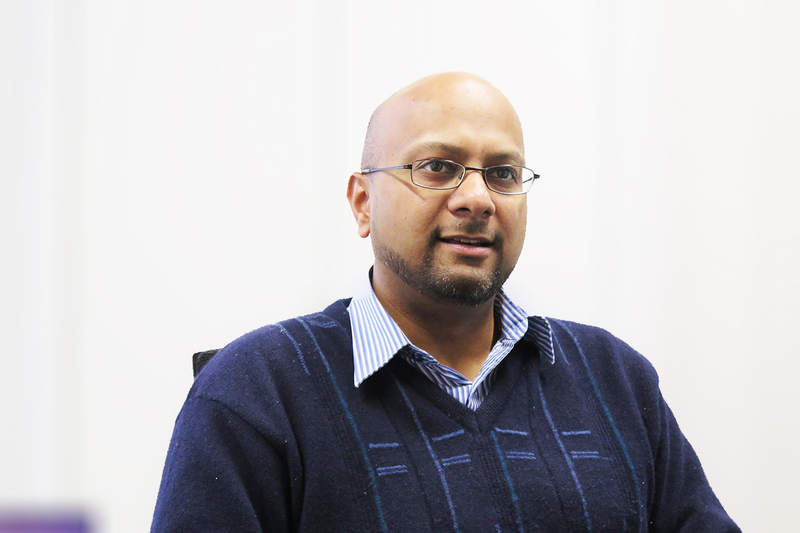 We’d be interested to work with any of our members – so let us help you get the best for your development and contact our Industry Development Manager Dr. Boaz Habib.